The ISAE Group Space Seminar is organized in partnership with CNES and GIFAS. Held annually over several days, the seminar provides students from the four schools within ISAE Group a unique opportunity to better grasp the challenges and problems facing the civil and military space sector. Students may attend a wide range of conferences, round tables and workshops. 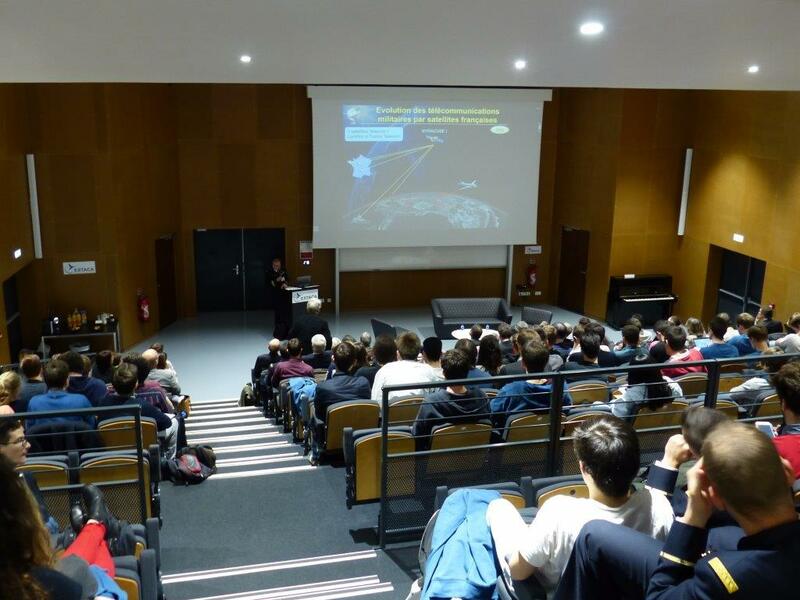 The focus of the 2017 event, which took place at l’ESTACA (Saint-Quentin en Yvelines) was “What will space hold in 20 years”. Satellite navigation, space surveillance, earth observation, space listening, and the space environment were just some of the themes addressed, giving students a broader picture of a constantly evolving high technology, strategic field to which they will soon contribute actively. 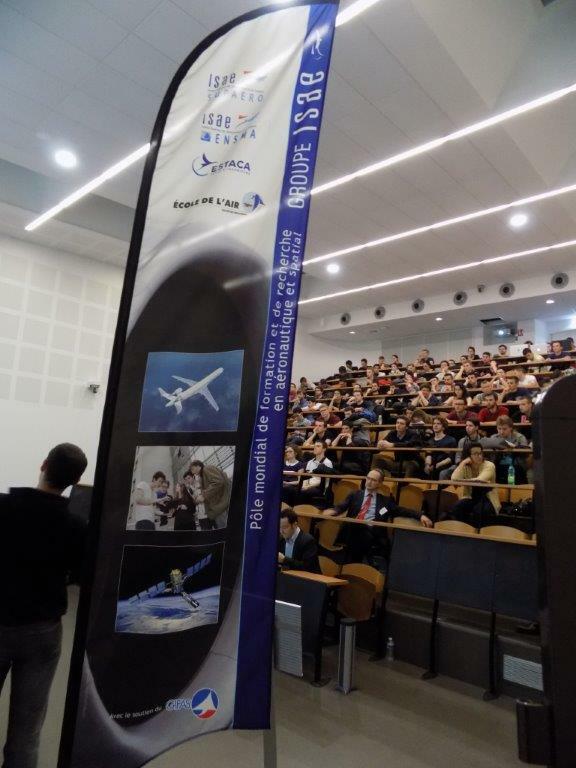 This annual seminar is also an excellent opportunity for engineering students from the four schools to meet and network with the key players in the aerospace sector including CNES, ESA, Airbus Defence and Space, Airbus Safran Launchers, and Thales Alenia Space. 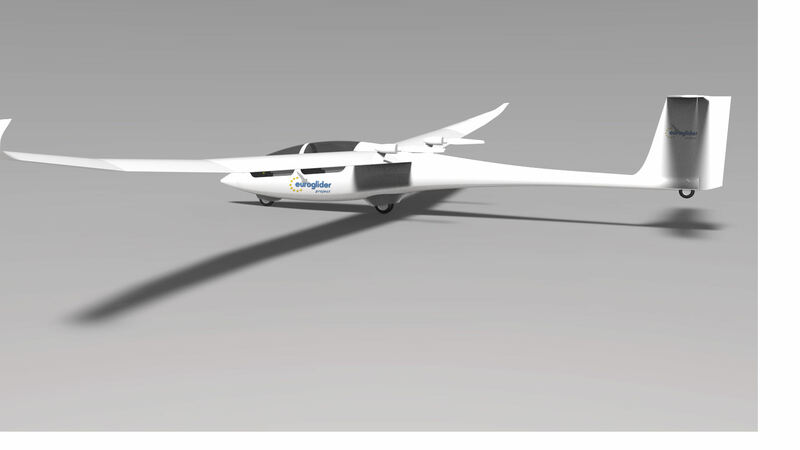 Euroglider is a project to design an innovative two seat electrically powered plane to be used for training and educational purposes. Driven by l’Association Européenne pour le Développement du Vol à Voile (AEDEVV), this project is run by students in partnership with Dassault Aviation and the four schools within ISAE Group. For students at l’ISAE-SUPAERO, l’ISAE-ENSMA, l’Ecole de l’Air and l’ESTACA, Euroglider is an especially formative experience. Above and beyond the innovative technical and technological aspects (aerostructure, propulsion and energy chain, global training system…)which satisfy requirements expressed by users to facilitate access to gliding, students take on the project as a real industrial venture: the glider life cycle and its energy chain, regulatory and environmental context, and economic data. Engineering students from the four schools within ISAE Group may complete an additional two month long program at the end of their degree leading to a certificate in Aeronautics and the Environment. Offered within the scope of a Chair in partnership with AIRBUS, this certificate gives students a grasp of environmental issues as they relate to the entire aircraft lifecycle: challenges and economic models of sustainable development, approach to and analysis of the aircraft lifecycle, and eco-mobility, among other issues. This program involves hands-on practical work, experience feedback (conferences, testimonials, company visits….) as well as completion of an innovative team project. Every year in April, some 300 students participate in the mobility week organized within the four schools the ISAE Group. This special event allows students to attend classes at one of the other schools within the group. The goal of the program is to expand the offering of courses available to students and to foster exchanges between the institutions and students in particular thanks to immersion in a new campus environment.